Sometimes you just don't want to take a nap. Playtime sounds much more appealing. But when you're trapped in your crib, playtime is limited. You don't have many options to keep yourself entertained. But, that didn't stop one young boy. He found a fun way to keep himself busy instead of taking a nap. 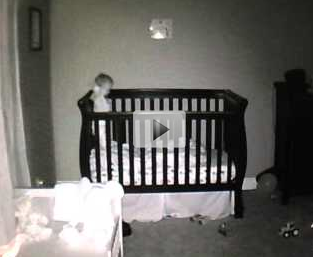 And luckily, his parents caught it all on their baby video monitor. Watch this cute video and see just what this young boy decided to do.